For years it was just an oversized Little Chef at the bottom of the A34, but Sutton Scotney is now a standard Roadchef facility and their only appearance on an A-road. First two hours free for all vehicles, after which cars must pay £12 and HGVs, caravans and coaches £21, or £23 to include a £6 food voucher. Prices are paid using PayByPhone - more details or in the shop or restaurant. The location code is 59936 (northbound) and 59935 (southbound). 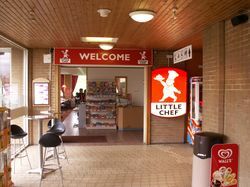 The now defunct main facility: Little Chef. There is a plan to turn the Costa on either side of the road into a drive thru, by building a road around the side of the building. This would be different to any other Costa drive thru on the motorway network, which all use new buildings separate from the other facilities. Little Chef had wanted to move here for a while, to replace a site at Privett which was demolished during roadworks. By the time the plans started to materialise, Little Chef's owners Trusthouse Forte had acquired Welcome Break, so they decided to borrow that branding and style it as a Little Chef but with smaller Welcome Break signs below. It was supposed to be a sign of grander things for A-road services. The Travelodge opened two years later. 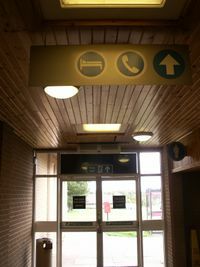 On both sides was an amenity building with three sections: a foyer, Welcome Break shop and toilets in the middle, Little Chef restaurant to the left and The Granary to the right. The Granary later became conference facilities. Granada signage within the services. When Trusthouse Forte and their owners Granada were forced to sell Welcome Break's motorway sites, Sutton Scotney managed to stay as it isn't on a motorway. Unable to use Welcome Break's branding, Granada took it on as their own and refurbished it to match their own style. This included adding a Burger King in what was the Granary area. In 2000 there were plans to add a standalone retail catering unit, but no further detail is available. The services stayed this way until Granada morphed into Moto, and when they Moto were sold on they handed the site back to Little Chef. As Little Chef's primary concern is their own restaurant, and they had enough trouble managing their own finances, under Little Chef's ownership the site became increasingly dilapidated. The Burger King closed due to low patronage, leaving part of the services disused. In 2012, The Coffee Tempo! here was also replaced with Little Chef Express along with 10 other former Coffee Tempo! sites. In August 2013, Kout Food Group purchased every single Little Chef, with the exception of Sutton Scotney. It stayed as a Little Chef for six more months, but under different owners. Having recently sold nearby Winchester and experimental Symonds Yat, and having watched Welcome Break's return to Peartree, in February 2014 Roadchef purchased the services. 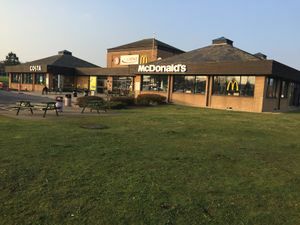 They announced they would be turning the two sites into their standard Costa/McDonald's/WHSmith combination and introducing a games arcade, bringing all the unit back into use. Developments at the site during the Roadchef redevelopment were being made under the name 'First Motorway Services Ltd'. In 2014, Roadchef gained had planning permission for an electric vehicle charging point here, but the landowner wouldn't endorse their plans. Both sides included a Fone Bitz store for a time. Under R Capital's management, Sutton Scotney was one of a few sites that had a Travelodge on both sides. However, both hotels closed in August 2013 as part of Travelodge's cuts, possibly revealing they had concerns about the management of the site too. The northbound hotel underwent a major refurbishment and reopened under Roadchef's hotel partner brand, Days Inn in June 2015. The southbound hotel opened shortly afterwards.